To overwrite the original item on your computer with the item restored from the backup, select Restore > Overwrite. To save the item restored from the backup next to the original item on your computer, select Restore > Keep. 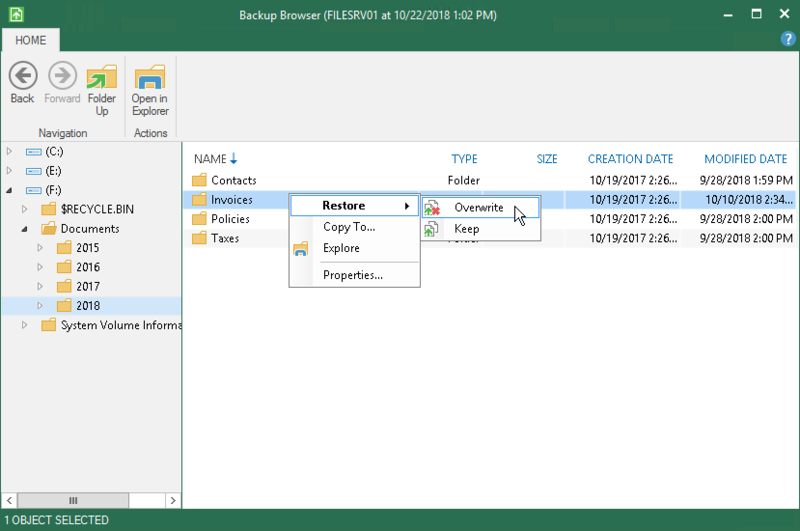 Veeam Agent for Microsoft Windows will add the RESTORED- prefix to the restored file or folder name and save it in the same location where the original file resides.